Owls are nocturnal hunting birds. They are terrifyingly quiet and stealthy, thanks to the unique serrated edges on their wings which minimize drag and noise during flight. Owls also have sharp beaks and talons, which can strongly grasp and kill their prey before consuming it whole. This makes the owl a wise, powerful and captivating bird. Native Americans believe the owl offers protection against evil spirits. It is also symbolic of intelligence, wisdom and mystery. Anyone in the field of education would make the perfect choice by getting an owl tattooed. 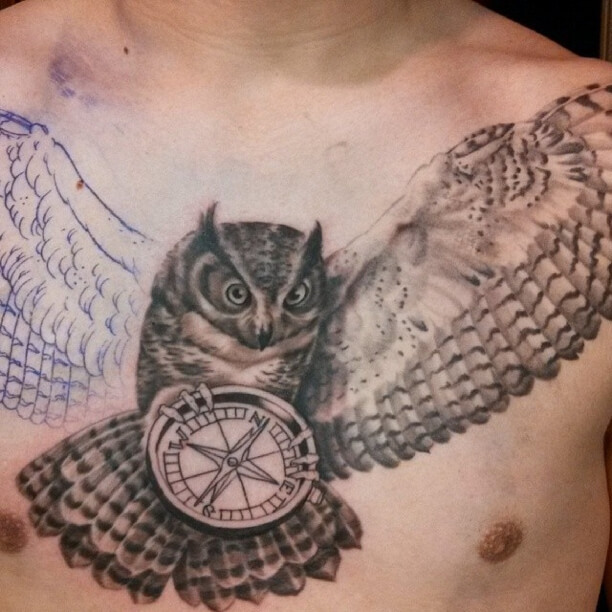 Owls are often associated with magic as well, adding design elements to the tattoo such as the moon, branches and even stars. 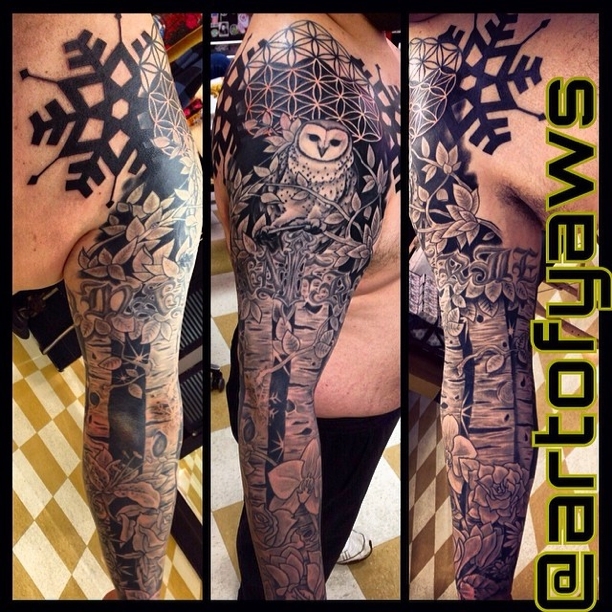 There are many design variations for an owl tattoo. 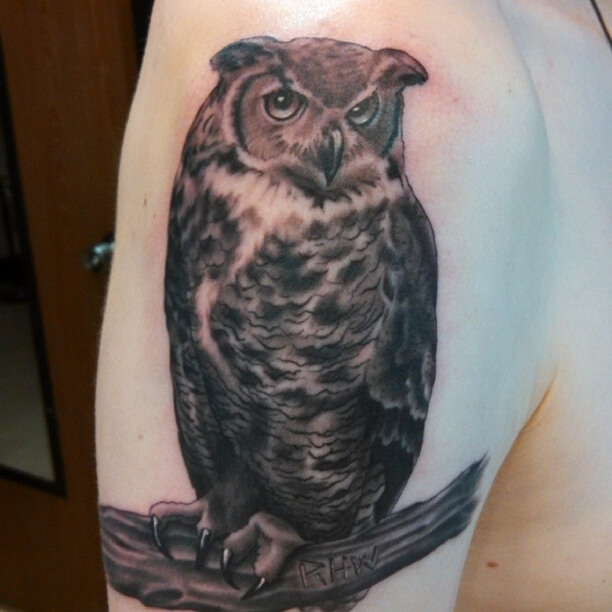 Looking at nature books and images can help you narrow down which type of owl you want; then meet with your tattoo artist at Mantra Tattoo to discuss and finish up your custom design. Come visit us and discover why we are Denver’s Best Custom Tattoos, Piercing and Body Jewelry. 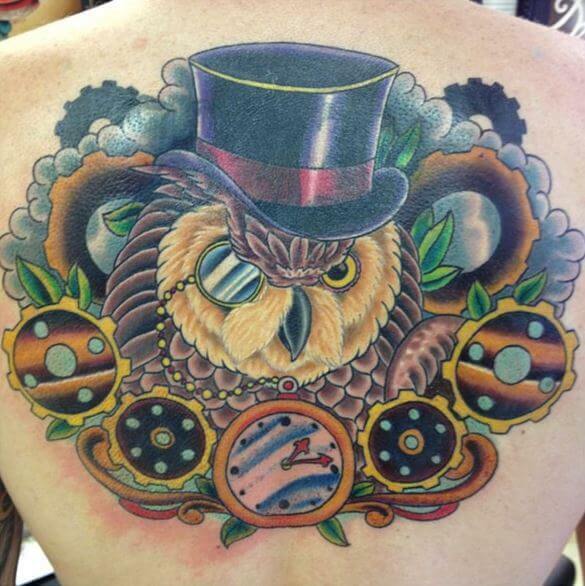 Schedule an appointment online or give us a call to get your custom owl tattoo designed by one of our experienced tattoo artists, or to choose your jewelry and discuss your next piercing with one of our professional body piercers.